Feshona is one of the leading manufacturer and supplier of women’s wear like Ethnic wear, Party Wear dresses, Traditional dresses, Salwar Suits, Gowns, etc. Our products are appreciated for their features like mesmerizing colors, eye-appealing designs and unique patterns. 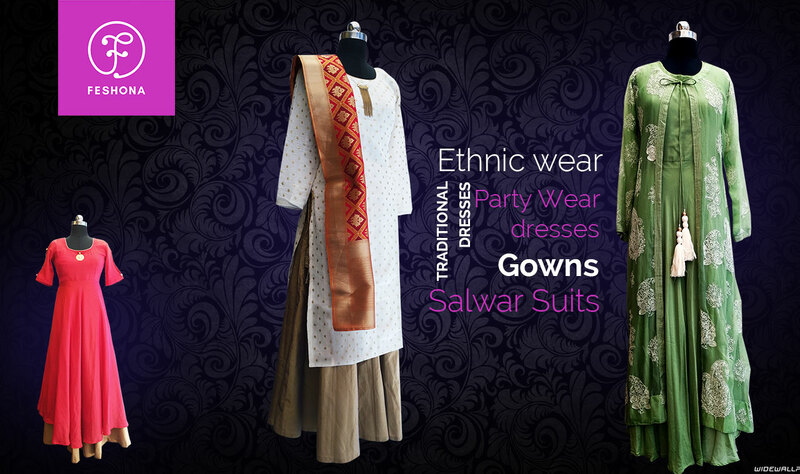 The dresses offered by us are made using optimum quality fabrics. Apart from our own creation we also accept clients design to manufacture it according to their guideline and specifications. We put all our best efforts in making, from sample order to final production to give 100% quality result to our clients. So send your design, sample and quantity, and get our best price. We will keep secrecy of your designs and samples.